The full spectrum of eye care is offered to clients of all ages, from children to older adults: vision tests, corrective laser eye surgery, immediate attention for eye emergencies, scleral contact lens fittings, keratoconus contact lens fittings, and so much more. 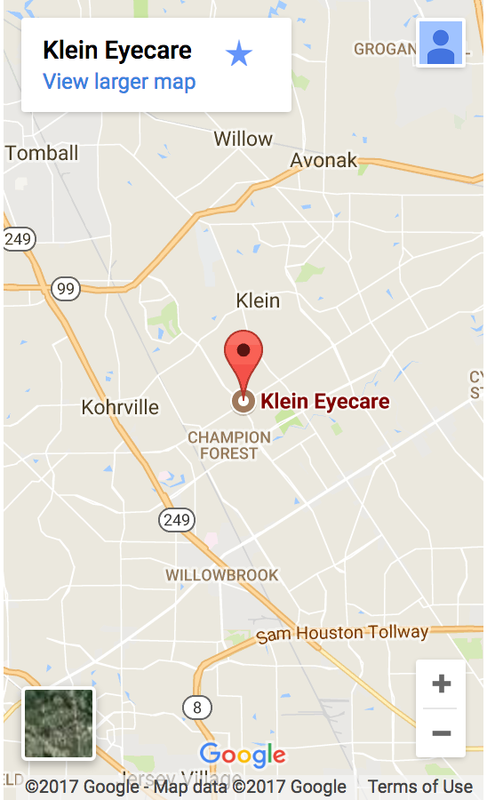 The eye care professionals in Klein Eyecare give thorough eye care to patients with a wide range of eye care needs. Our Spring eye doctors provide specialized support for a wide array of issues such as myopia control, macular degeneration, dry eye, diabetic retinopathy, glaucoma, and cataracts. We offer emergency services that require immediate and urgent eye care. If your eye is injured, don't try to judge the severity of it. Immediately seek the opinion of an eye doctor to lessen the risk of hurting your vision.